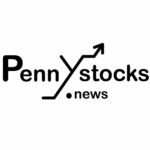 Vancouver, BC — September 11, 2018 — InvestorsHub NewsWire — INVICTUS MD STRATEGIES CORP. (“Invictus” or the “Company”) (TSXV: GENE; OTCQX: IVITF; FRA: 8IS1) is pleased to announce that its wholly-owned subsidiary, Acreage Pharms Ltd. (“Acreage Pharms”), has been granted conditional approval to become a registered supplier with the Saskatchewan Liquor and Gaming Authority (“SLGA”) once legislation is implemented on October 17, 2018. In the interim, and subject to any federal restrictions, Acreage Pharms is eligible to supply product to authorized provincial wholesalers and retailers in advance of October 17. Invictus is set to gain access to the retail market in Saskatchewan through an LOI with GTEC Holdings Ltd. (“GTEC”) (TSXV: GTEC) that provides the Company with an opportunity to fill purchase orders that GTEC is seeking from third party licensed producers for the purposes of supporting GTECs distribution channels. Invictus’ product portfolio includes 69 Health Canada approved strains that will be sold under four lifestyle-inspired cannabis brands for recreational users: Dukes, Zooey, Sterling & Hunt, and Sinister. Each brand has been crafted for a specific target audience and his or her lifestyle. Cautionary Note Regarding Forward-Looking Statements: This release includes certain statements and information that may constitute forward-looking information within the meaning of applicable Canadian securities laws or forward-looking statements within the meaning of the United States Private Securities Litigation Reform Act of 1995. All statements in this news release, other than statements of historical facts, including statements regarding future estimates, plans, objectives, timing, assumptions or expectations of future performance, including the timing, approval and completion of the Arrangement and related matters and the potential production capacity of Invictus, are forward-looking statements and contain forward-looking information. Generally, forward-looking statements and information can be identified by the use of forward-looking terminology such as “intends” or “anticipates”, or variations of such words and phrases or statements that certain actions, events or results “may”, “could”, “should”, “would” or “occur”. Forward-looking statements are based on certain material assumptions and analysis made by the Company and the opinions and estimates of management as of the date of this press release, including that Invictus will be successful in reaching its potential production capacity, its production facilities will be completed as anticipated, regulatory approval will be granted as anticipated, Invictus will reach full production capacity on the timeline anticipated by the Company, and no unforeseen construction delays will be experienced. These forward-looking statements are subject to known and unknown risks, uncertainties and other factors that may cause the actual results, level of activity, performance or achievements of the Company to be materially different from those expressed or implied by such forward-looking statements or forward-looking information. Important factors that may cause actual results to vary, include, without limitation, the Company will not obtain the requisite approvals to complete the Arrangement, Invictus will not be successful in reaching its potential production capacity, its production facilities will not be completed as anticipated, and licenses or approvals being granted on terms or timelines that are materially worse than expected by the Company. Although management of the Company has attempted to identify important factors that could cause actual results to differ materially from those contained in forward-looking statements or forward-looking information, there may be other factors that cause results not to be as anticipated, estimated or intended. There can be no assurance that such statements will prove to be accurate, as actual results and future events could differ materially from those anticipated in such statements. Accordingly, readers should not place undue reliance on forward-looking statements and forward-looking information. Readers are cautioned that reliance on such information may not be appropriate for other purposes. The Company does not undertake to update any forward-looking statement, forward-looking information or financial out-look that are incorporated by reference herein, except in accordance with applicable securities laws.